Many of you know that I'm married to a Brit and am a great fan of British TV shows. It occurred to me the other night (while I was watching Crownies) that so many of my favorite shows could only be set in the UK and Australia. 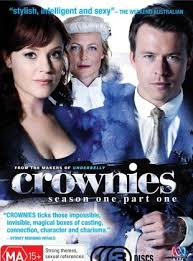 Crownies, of course, is set in the DPP, Department of Public Prosecution in Sydney, New South Wales. 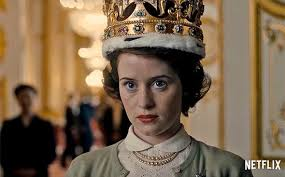 Another favorite British series is The Crown, the story of Queen Elizabeth. 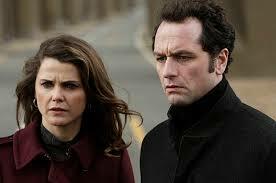 A terrific series and I can't wait for the next season. 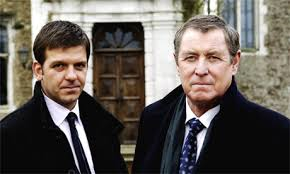 I love British crime dramas and Midsomer Murders is a favorite. Set in a small English village, Midsomer (a town which seems to have an inordinate number of murders!) Here are are two of the original cast members, John Nettles (who has a terrific background as a stage actor) playing DPI Tom Barnaby and Jason Hughes playing Ben Jones, his sergeant. In later episodes, John Nettles finally left the show to do theatre, saying he "didn't want to be the world's oldest living policeman." His part was taken up by Neil Dudgeon (also called "DCI Barnaby," since he is supposed to be a cousin of Tom Barnaby) and Gwilym Lee, playing his Sergeant Nelson. 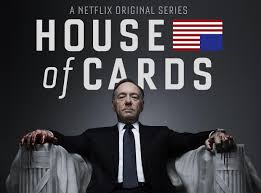 and "House of Cards," starring Kevin Spacey and Robin Wright. 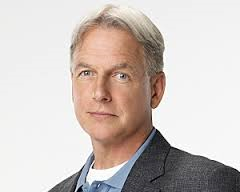 And of course, who could forget "Gibbs" (Mark Harmon) and his wonderful team from NCIS, a show based in DC. How about you? Do you have any favorite shows that are forever linked to a particular city or country?